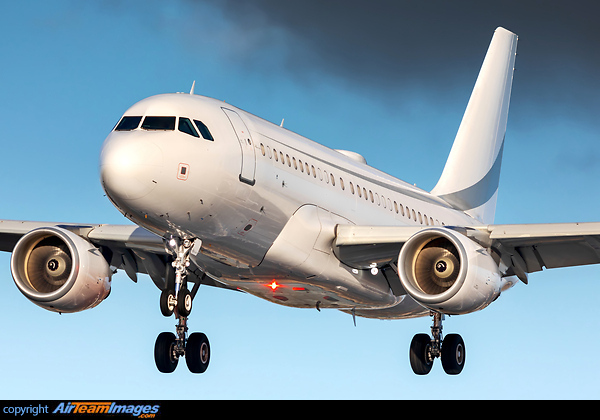 The A319 ACJ is a long range corporate transport version of the A319, with extra fuel tankage installed in the cargo bays. Used by various private customers and governments. Choice of V2527M at 27000lb thrust or the CFM56-5B7 at 26500lb.